KCB Cabinets & Renovations is locally owned and operated by Carl, Rick and Amy Sauve’. KCB has been serving Central Alberta with excellence since 1982, and we look forward to serving Albertans in that same time-honoured tradition for many years to come. We specialize in overseeing projects from their inception to the final finishing touches, and we work with reputable, qualified tradespeople to ensure it happens on time and on budget. We represent a number of high-quality suppliers, so you can be assured of a range of excellent products to meet any needs and any budget. Our mission is to give our customers top quality cabinetry and installation along with a full range of excellent quality construction services at fair, market-competitive prices, while creating nothing less than a “win win” relationship with our valued customers. At Beacon Homes, our goal is to build a house you can immediately call home! Renovating or building a new home can be a long and stressful task without the proper guidance. We try to take the stress out of the equation so you feel confident along the way. We like to keep you informed and educated about all the components of your home so that no surprises arise. If you know all the parts of your home and the way it should operate, then you can live more peacefully. We are committed to building you a home that exceeds the standards of new home warranty regulations in Alberta, so you can live more comfortably. In addition to providing you with a place you can call home, in turn you also are providing another family with a new home. Beginning in July 2017, we have committed to assisting in the build of a new home for hurricane victims in Haiti with every new home or major renovation we build. You can have pride knowing that your home has helped bless another family as well. We are also connected with local initiatives to help assist single mothers, and children with housing and assistance. So, to define the name of Beacon Homes,...we strive to be a 'beacon' in our community and beyond. We want to shine bright by serving our communities and clients well. "Whatever you do, work as though you are working for the Lord..." With that in mind, we endevor to work and build to the best of our abilities, and serve more than just our clients. The owners and trade professionals of Beacon Homes come with many years of experience in all areas of construction and are here to help you along the way. We all take tremendous pride in our work and guarantee customer satisfaction! At Central Alberta Flooring, we understand what it takes to turn a house into a home. Our leadership team and trained professionals are here to help you go from starter home to dream home with the perfect flooring solution to fit your personality, vision, and budget. Let us help you build your house into a haven by transforming your floors from blah to beautiful and from dated to dazzling. For over 35 years, Central Alberta Flooring has been dedicated to providing exemplary service, quality products, and fair prices to our loyal customer-base. We are a family-owned destination shop and we know that our success would not be possible without our valued customers. As a customer-focused company, we believe in building relationships, not just making sales. Whether you’re renovating or building, the process should be fun. We are committed to helping you find your perfect flooring solution in a comfortable, relaxed atmosphere with options, not pressures. As an employee-driven company, we take pride in our culture of excellence, integrity, and customer service. Every member of our team is committed to the highest standards in the industry and we take pride in helping them develop their skills through training and education. You dress to impress – why would your flooring be any different? You’ll love entertaining with flooring that makes a statement. Let us help you make your wildest dream-boards a reality. Building memories. Building a home. Building a future. CONCEPTION. Knowledge of the building process and a passion for design help ensure your project is conceptualised to become YOUR ideal space. CREATION. Quality materials + Skilled craftsmanship = YOUR dream space actualised. CRAFTSMANSHIP. Strong work ethic and attention to details help ensure the quality of YOUR project from conception to creation. A.C.T. Home Services are the home renovation experts; with 12 years and more than 1200 projects to date our goal is to be your number one choice for any home renovation project you have. We use the highest quality materials and complete every project to Code. A.C.T will obtain all your permits on your behalf. *Authorized Dealer of Shaw Floors* Flooring and window coverings for commercial, and residential buildings. 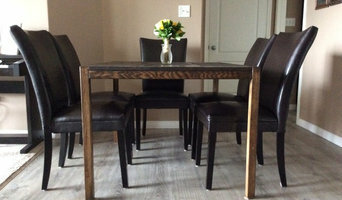 Nufloors has been serving Camrose and the surrounding area for over 30 years. Owners Gerry and Florence Blanchette are long-time residents of Camrose and have 30+ years of experience in the floor and window covering business. Gerry and Florence pride their business on delivering top notch customer service and satisfaction. Our new showroom offers over 6,000 sf of flooring choices, boasting one of the newest and largest full service flooring showrooms in Camrose. Nufloors Camrose is part of the Alberta Floorcovering Association and are proud supporters of minor sports leagues in the community. Our staff is experienced, knowledgeable, respectful and will provide you with advice that is right for you and your home and family needs. We look forward to helping you with your next flooring project. Incorporated in April of 2014, Borlé Bros. Contracting Corp. (BBCC) is a residential construction business owned and operated by two brothers, Conner and Ethan Borlé. Borlé Bros. 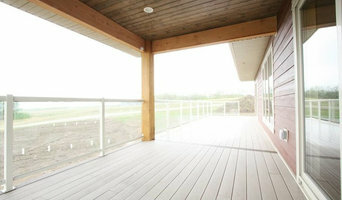 Contracting Corp. is a Member of the Alberta Chapter of the Canada Green Building Council (CaGBC), whose mission is to “lead and accelerate the transformation to high-performing, healthy green buildings, homes, and communities throughout Canada.” We strive to live up to the mission of the CaGBC and follow a building science-based approach to remodeling, renovation, and new construction. Borlé Bros. Contracting Corp. provides you the best possible service while ensuring we protect your home, your family, and your investment. 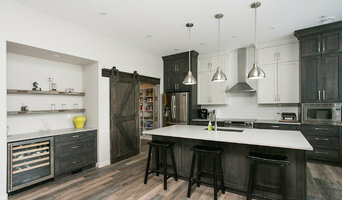 Professional kitchen and bathroom renovation company in Red Deer, Alberta with over 30 years journeyman experience at your service. We are family owned and operated, with local values. Our knowledge and experience will help you to love your home! We offer a wide variety of services to suit your renovation needs. Whether you're looking for a fresh update or a complete transformation, we can help. Counterscapes is licensed and insured to make sure you are protected. We also work with qualified, professional trade partners to ensure your project is completed with the utmost perfection. As one of Red Deer, Alberta's elite flooring and design establishments, we pride ourselves in providing excellent customer service and high quality workmanship. We offer everything from hardwood to vinyl plank and tile, backsplash, sheet vinyl, tile, laminate, carpet, countertops, and cabinets. All of your renovation needs can be handled under one roof here at Nufloors Red Deer. From the moment you step into our large, calm show room to meet with our consultants, to the time when you are stepping on your brand new flooring for the first time, we want you to feel relaxed and confident in your choice. 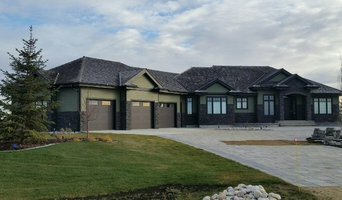 CLOTEK is improving homes in the heart of Central Alberta and we go the extra mile to make sure you are 100% satisfied. Benefit from our experience on hundreds of construction/renovation projects. County Pride Contracting Services is a professional contracting company based in central Alberta, Canada. It was started by Dean Weibel, who has over twenty-five years of experience, as a private business but has expanded greatly since then. Unlike other contracting companies, County Pride offers a wide range of services to you. It starts from building from scratch, over to repair, renovations, painting to finishing carpentry. So, instead of having many contractors work for you, County Pride can offer you the same services by only hiring one company. It keeps your price low, the quality kept at one exceeding standard and therefore a great customer satisfaction; and we can guarantee that to you! We want to be seen as the go-to-place when it comes to flooring because of our expertise, product selection and service that goes above and beyond. We love floors.